Recorded at Lower Level Recording. Written and produced by Rick Lenoir & Larry Thompson (aka LNR). As Michael Caine might say every once in a while: "not a lot of people know that" lol. Updated as of 15/11:This 12" is also getting a welcome official 2017 repress by Rick on the same label anytime soon! 'Climaxx' is an absolutely superb and essential under-the-radar Chicago acid bomb that is a must-have for any serious Chicago acid fan. 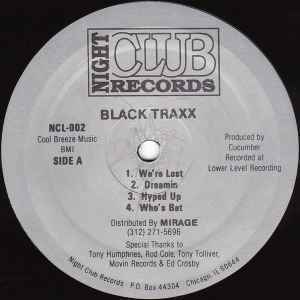 And despite it being a latter Chicago Acid track (it was released in 1991), it's still up there with all the best early Chi-town acid trax - both classic and rare - that we all know and love. 'My Piano' is also a very cool acid meets piano vibe and is on a similar tip to Fast Eddie's 'My Melody' or Underground Movement (aka Tyree) - 'Jammin' Piano' etc. All the other house tracks on the EP are also pretty good. Surely one of the best Chicago EPs of 1991 if you ask me.